Having lived in Western Washington my entire life, this movie felt like home to me. The small town feel, the gray skies, the leaves blowing in the wind. 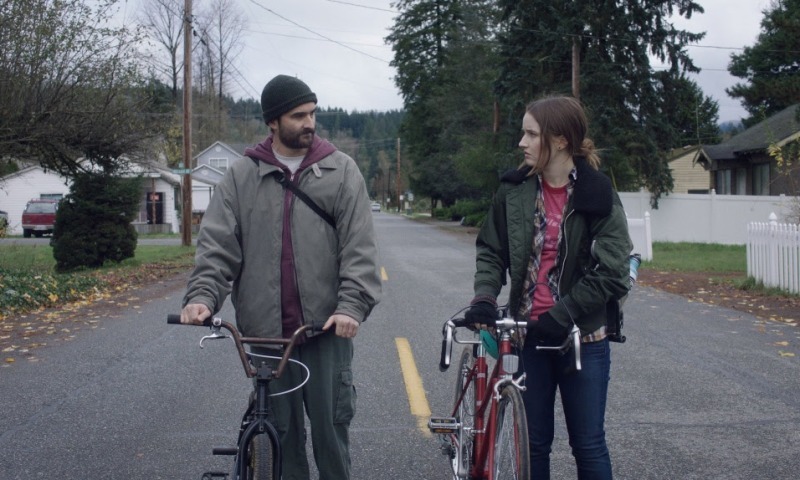 Director Lynn Shelton, who grew up in Seattle, completely understands what the Pacific Northwest looks and feels like and does a brilliant job of putting it on screen. The story, co-written by Shelton and lead actor Jay Duplass, also feels very familiar to me in a lot of different ways although I think it's mostly because of how the film makers completely understand how people are not always ready to say the perfect thing or how people, in most situations, really have no idea what to do or how to react. This is not a classic feel good movie with artificially likable characters and an ending that's prepackaged and wrapped up in a nice little bow. No, this is a Lynn Shelton film. Her movies are honest and authentic and this may be her deepest dive yet into emotional and psychological struggles. The pacing is very deliberate although I never felt like it was losing my attention. Sometimes movies like this will start to lose me as it drifts along and I have to make an effort to stay focused but that was definitely not the case with this story. The characters are so real and Shelton's work behind the camera, along with cinematographer Nathan M. Miller, puts you, the audience, right there with each one of them as they think, breathe, talk, and move in the space given to them. Jay Duplass and Edie Falco are so awkwardly and authentically perfect for each other in this movie and you totally get why Chris and Carol should be together and you also completely understand why there's no way they can be. All of this and we also get to see some great work from Kaitlyn Dever who has quickly put together quite a resume lately with notable performances in Laggies, Men, Women, and Children, and Detroit. 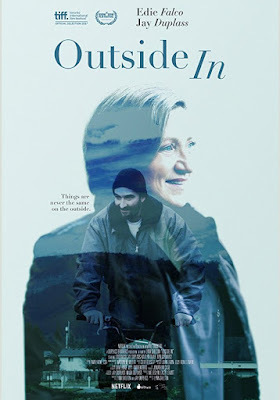 Outside In is the type of movie you want to curl up around and hold on to for a long time. Lynn Shelton's latest is a fantastic reason for you to want to support local films and the people who make them.